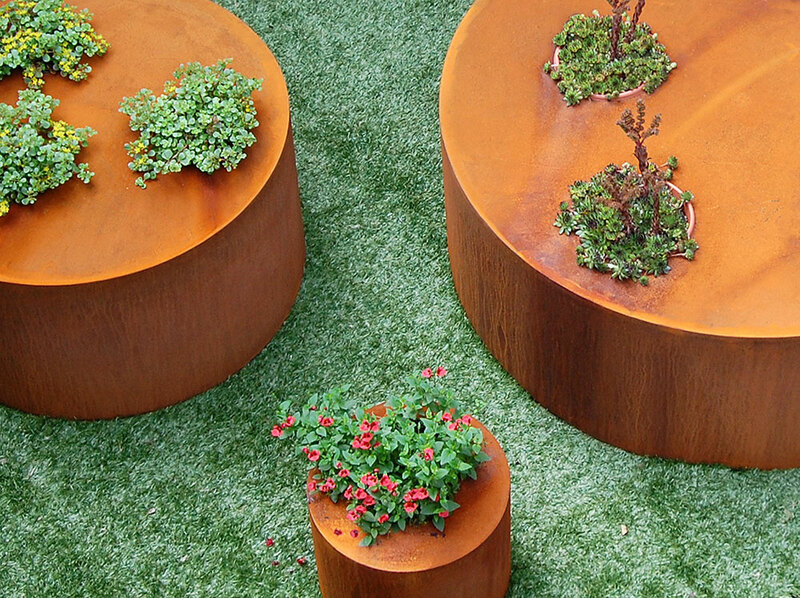 Corten steel sculpture and Sempervivums plants. I am interested in creating perfect environments to support the survival of particular species’. The houseleek plant, also named ‘liveforever’, is perfectly adapted to the Scottish conditions and flourishes in urban surroundings. They have a sculptural quality and are perfect survivors.